Not counting long forgotten Chaplin and Keystone Kops stuff from Saturday morning and weekday afternoon anthologies when I was a boy, METROPOLIS was the first silent film I ever saw (yes, Harry, I saw it in the Giorgio Moroder-scored version from the mid-80s, which was an easy find in flyover-country video stores). 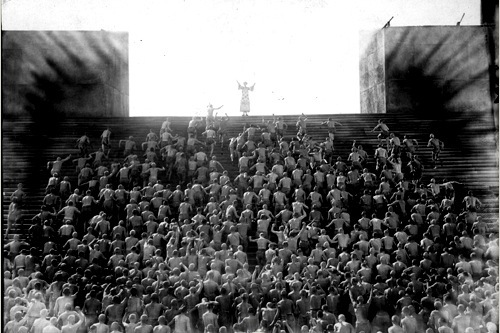 That particular release, made possible by the film’s out-of-copyright status, was obviously a “gimmick film” and not the ideal way to see METROPOLIS. And I do prefer the original Gottfried Huppertz’s 1927 score. But I’m not sure it wasn’t the best type of “first-silent” for someone born in 1966 and so believing that movies, by nature, talk, and that silent films are therefore inferior or at least unfinished or incomplete. (More on that below.) 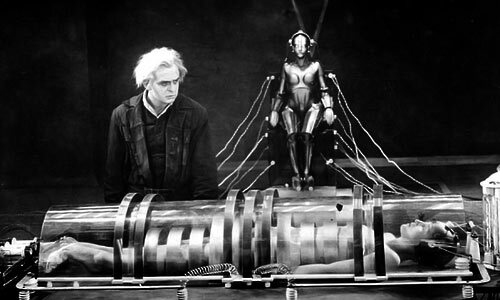 I have seen METROPOLIS a couple of times since, including in a theatrical release a few years ago for the Kino restoration, which was sold at the time (and the print and more-orthodox score WERE awesome) as the “completest possible” or “definitive, authorized” version … oops. Is it possible to look at those stills and not also think, respectively, of TRIUMPH OF THE WILL and OLYMPIA by Leni Riefenstahl, the [wo}man who DID make National Socialist film? There’s another certainly apocryphal story that Hitler invited Lang to the Chancellery and offered him a film studio to head. Lang, a liberal and half-Jew, fled Germany the next day. Now seeing Fritz Lang’s whole film is a real prospect — not in terms of an imminent release tomorrow (it needs restoration work obviously), but certain and hopefully soon. And so the whole “lost film” saga continues … from THE PASSION OF JOAN OF ARC found in a Norwegian asylum’s janitor closet to WITHIN OUR GATES found in a Spanish version; from as late the original SHADOWS being left on a New York subway to as far back as works by the 1890s popping up even this decade (Melies’ CLEOPATRA). As the world becomes smaller and archives, especially those outside Western Europe and North America, get better catalogued, periodic news like this (even though it’s seldom this BIG) gives us cinephiles, particularly those of us who love silent films,³ hope that past losses can be undone. That maybe somewhere in the world, there is a copy of Chaney’s LONDON AFTER MIDNIGHT or Lubitsch’s THE PATRIOT; that the missing footage from GREED or THE MAGNIFICENT AMBERSONS will eventually be found, despite all the perfectly good reasons there shouldn’t be and they won’t. ¹ The Die Zeit article actually makes clear that this print has been in Argentina since 1928. But c’mon … who could resist that joke? 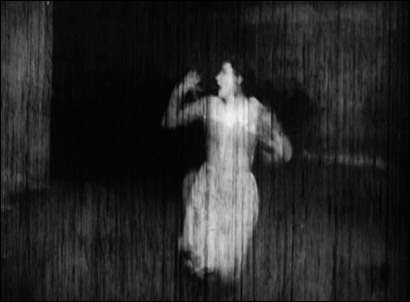 ³ 80 percent of silent films are estimated to be gone. Admittedly few of those are thought to be significant — the best-regarded, best-known and most-successful works will find ways to stay in circulation by virtue of those adjectives. But even the greatest of silent-film artists have some holes in their ouevre — yes, even Charlie Chaplin himself. Since you’ve just been blogging about Godard, I am wondering what you think of Lang’s performance (as himself) in LA MEPRIS? Actually, that Hitler story is mentioned in the film. I think that if you’d like any of Godard’s films, it’d be that one. 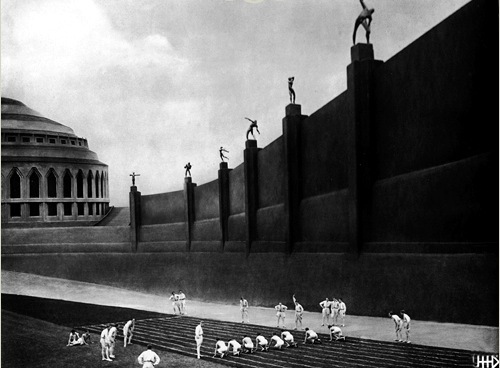 To sorta respond to both your posts: I remember finding a terrible print of METROPOLIS in the library in Fresno not knowing what it really was, because I was just trying to find anything old/silent/odd and it met all three criteria. I was totally fascinated by it, even though I didn’t have a clue what was going on (it definitely did not have the instructive intertitles of the Kino restored version). I’ve since seen it in a theater and on DVD a few times, and it retains the same fascination; along with possibly 2001: A SPACE ODYSSEY, I think it’s the closest film comes to taking you from your seat and putting you in an entirely foreign world. The only big question for me is: when will we get to see it? Come on, Kino, get the super-complete version ready to go! No, Santi … I pretty much detest LE MEPRIS (and all Godard I’ve seen except WEEKEND, BREATHLESS and [now] SYMPATHY FOR THE DEVIL). The most specific I ever got about LE MEPRIS was in this thread here on Usenet — gulp — almost a decade ago. Can’t say I blame Lang for that though, nor Sam Fuller for the suckitude of PIERROT LE FOU. Both directors are just there as window-dressing for Godard’s juvenilia, both men doing what he can to play himself. Which Hitler anecdote was in LE MEPRIS (his liking METROPOLIS or his offering Lang the UFA top job) — it’s been years since I’ve seen it? Some of Lang’s statements don’t check out and may have become a bit taller in the telling (we know, for example, that he didn’t leave Germany suddenly, penniless and never to return). The anecdote about the UFA top job. I will read your comments.